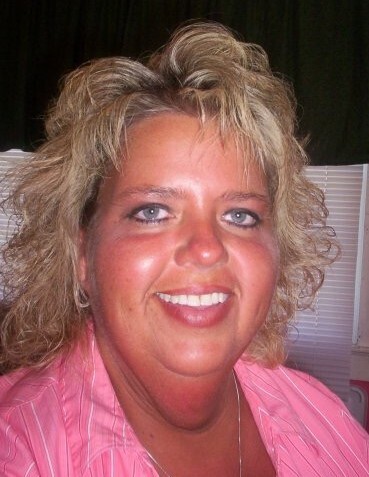 Donna “Kristi” Miracle, 47, of Stanford, KY passed away on Saturday, August 25, 2018 at U.K. Chandler Medical Center in Lexington, KY. Born March 23, 1971 in Lancaster, KY to the late Rex Miracle and Ellen Miracle, she was a former employee of Golden Living Center in Stanford, and was a member of the L.D.S. Faith. Survivors include one son, Devan Miracle of Stanford, KY; two brothers, Dustin Miracle (Kandy) of Stanford, KY, and Gregory Miracle (Chyrl) of Newport, TN; two sisters, Margaret Roark of Stanford, KY, and Rexene Miracle of Newport, TN; one great-nephew, Adriano De-La-Cruz; and several nieces and nephews. In addition to her parents, she was preceded in death by a brother, Roger Miracle. Visitation will be Wednesday, August 29, 2018 at Spurlin Funeral Home Chapel, Stanford from 5-9pm. Funeral service will be 11am Thursday, August 30, 2018 at the funeral home. Burial will follow at Danville Memorial Gardens in Danville, KY. Casket bearers are: Pablo De-La-Cruz, Shelby Miracle, Joey Emerson, Rodney Price, Rodney Roark, Diego Chavez, Jeff Snow, and Abel De-La-Cruz. Honorary bearers will be: Dustin Miracle, Devan Miracle, Greg Miracle, Jeremy Miracle, Brandon Miracle, Logan Smith, Adriano De-La-Cruz, and Bradlee Roark.